Every night we say the same old good night, Fox complained. Rabbit had a think. What if we say it with different words for ‘good’ and ‘night’? Fox agreed to try, and he thought of something at once: I wish you a happy new darkness! And I wish you a merry dusk! said Rabbit straight back. Soft shadows, Rabbit! Magnificent moonlight, Fox! In this idyllic world, Fox and Rabbit live in perfect harmony. Their only troubles are finding more creative ways to say good night, and getting to sleep! 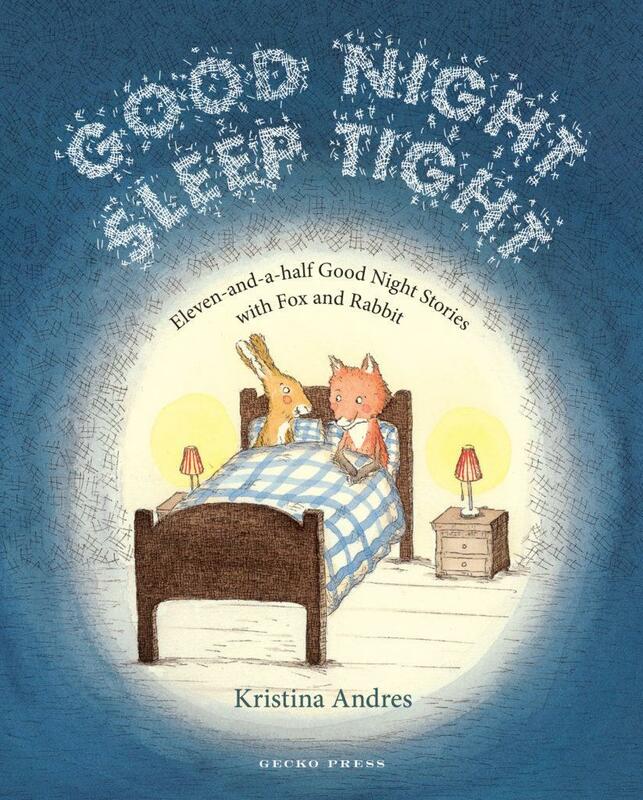 Each of the short, eleven-and-a-half stories – and some are only a page long – explore Fox and Rabbit’s exploits, with guest appearances by their friends Kangaroo and Elephant, sheepdog Lottie and the inept Granny Wolf; delectably quirky shenanigans which are truly hilarious! This beautifully illustrated book is a joy to behold and share. Look out for the added layer of playfulness in the charming pictures. And when you’ve finished reading the stories, remove the book’s dust jacket – you’re in for a surprise! This gorgeous, quirky little gem is a must-have for any home library. A wonderful family read-aloud and a delight for junior independent readers and their classrooms. Highly recommended for ages 4+.